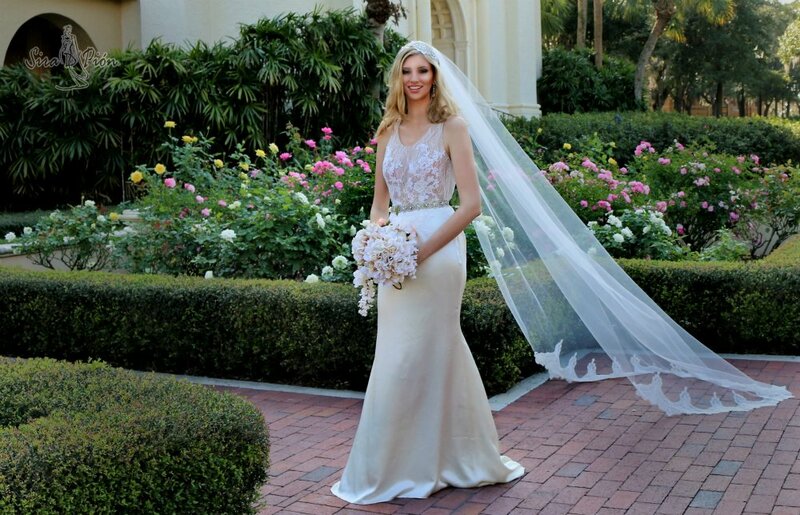 Sira will love to Dress you for that Special Moment Make an Appointment today. 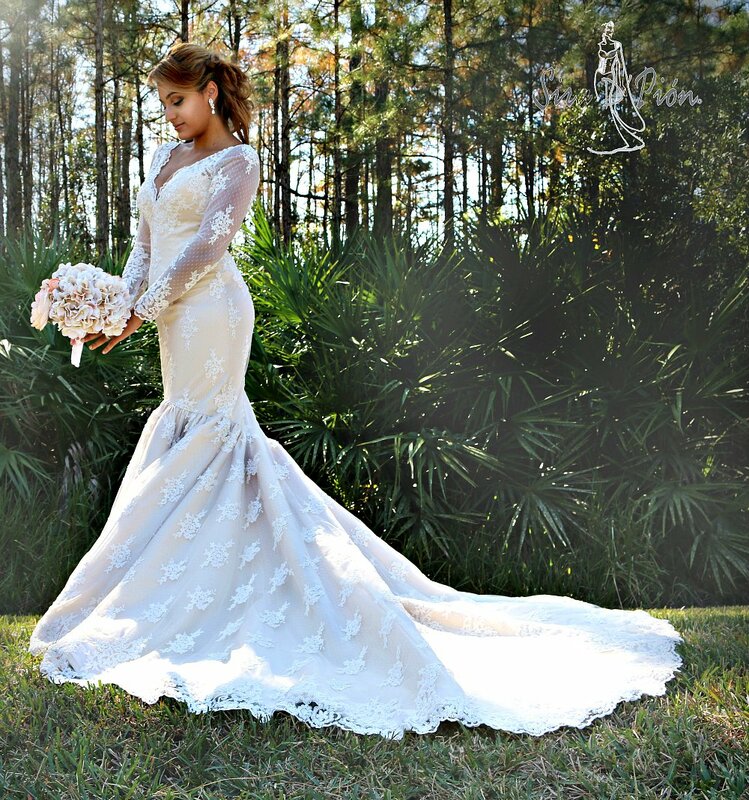 Wedding dress store located 35 minutes away from Disney World in the city of Orlando and 20 minutes east from the Orlando International Airport. The place to find your princess fairy tale dress for your forever after and dream come true experience. Our collection is a one of kind made to order for any theme wedding or special event. 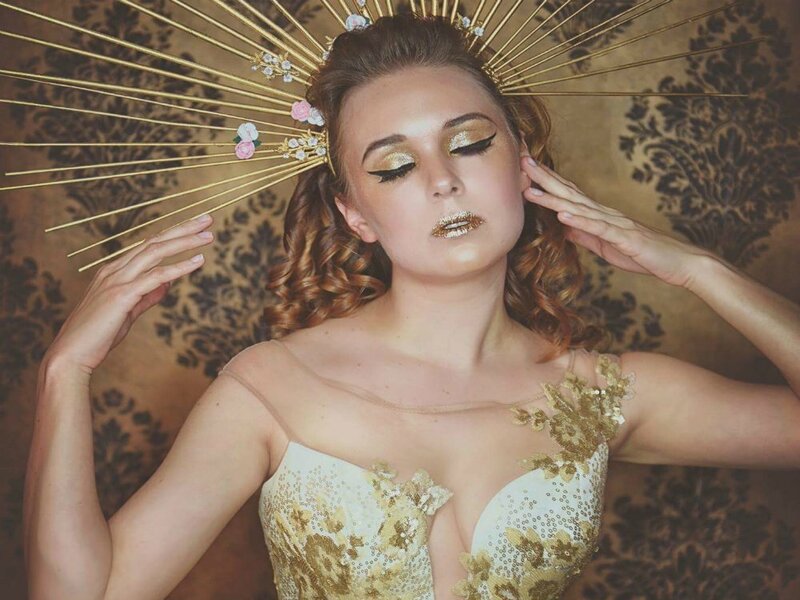 Unique wedding dress collection designed and handcrafted in America! 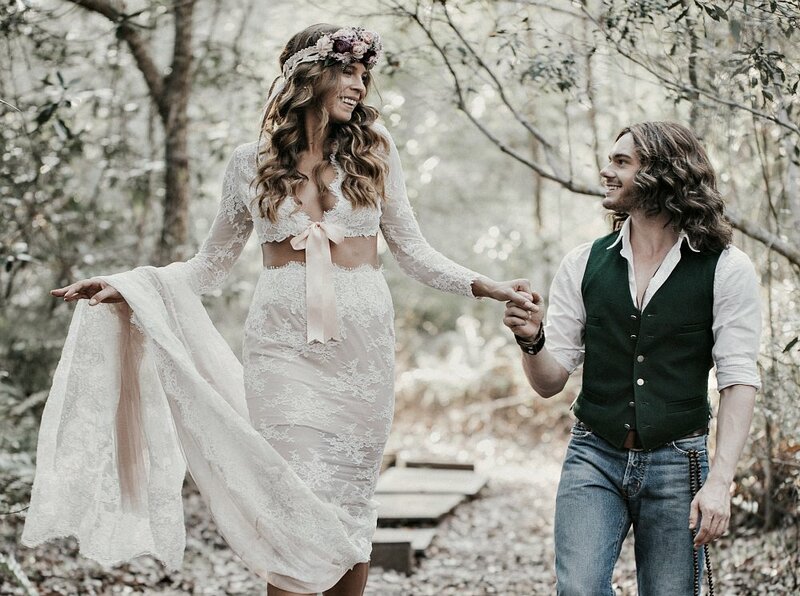 We use the finest laces, fabrics and embellishments to create the dress of your dreams. Our dresses are full of love and inspiration taking care of every detail to personalize and fulfill every bride's dream. Shine like a star, Let yourself be seduced by this feminine and unique dress collection, presented by Sira D' Pion. Our seamstress team will assure a perfect fit with the highest techniques and workmanship, with over 20 years of experience. Just contact us for that special moment were Sira D' Pion will make your dream dress come true. 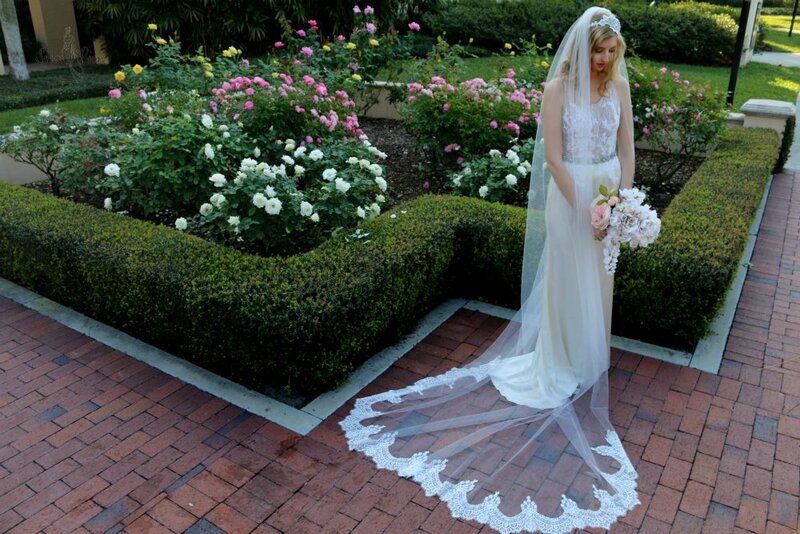 Our delicate Veil collection is designed to enhance and complement the beauty of the brides outfit. 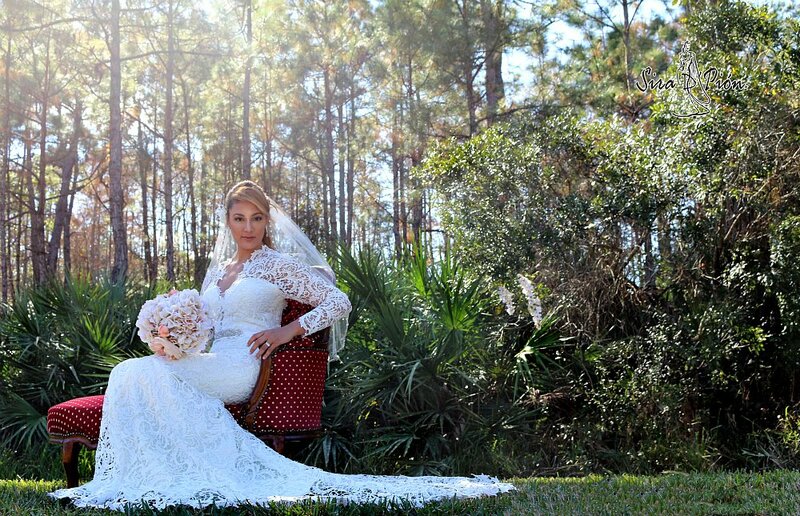 Sira D'Pion Wedding dress designer bridal studio in Orlando Florida. 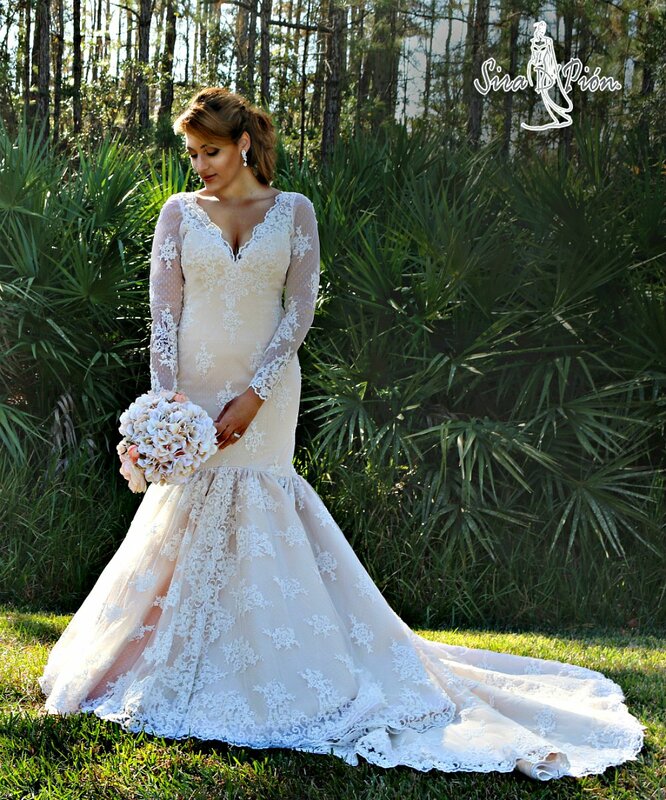 Designing and manufacturing wedding dresses for over twenty five years in the state of Florida. 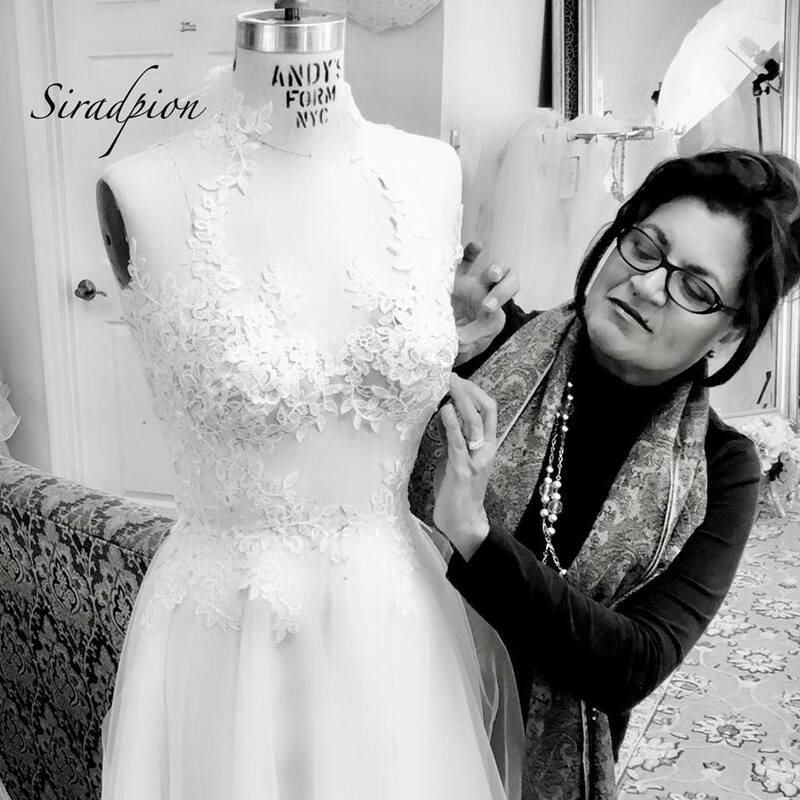 Sira D' Pion Bridal Store in Orlando is very well known for her reputation of very high quality garments construction, perfect fit in a very happy and friendly environment. Great fabrics selection to choose from for a custom design gown, as well as detail embellishment to create an exclusive design gown as your style choice to fit your personal style and budget. Beautiful collections, romantic vintage, country style, rustic beach, eco- friendly and glamour Hollywood. Due the nature of our business designing and manufacturing our garments we work by appointments. We guarantee in house expert alterations and custom tailor services to assure a perfect fit. Best prices in town and take pride in our great customer service. Worldwide shipping available. 3201 E Colonial Dr F-24, Orlando, FL 32803. Her creations are so feminine and perfect for those special occasions, love her vision!!!! My custom veil will forever be the first thing discussed about my wedding, followed by how amazing my dress fit. Choosing Sira to create my veil and handle all of my dress alterations was one of the beat choices I made for the whole event! I met Sira right before she moved from Miami to Orlando. She was always available for me and made a special trip to Miami for my final fitting a few weeks before my wedding. My dress is amazing and is the absolute most comfortable gown I ever tried on. Thank you Sira for getting me ready for my big day!